ACOT’s Guest Designer’s next challenge was to USE ‘EM UP! LOL! As scrappers, we tend to buy, buy, buy and only use just a little. 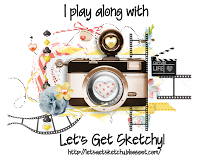 We all have that one (or two, or ten) collections that we are just hoarding. Mine is usually something from Basic Grey! 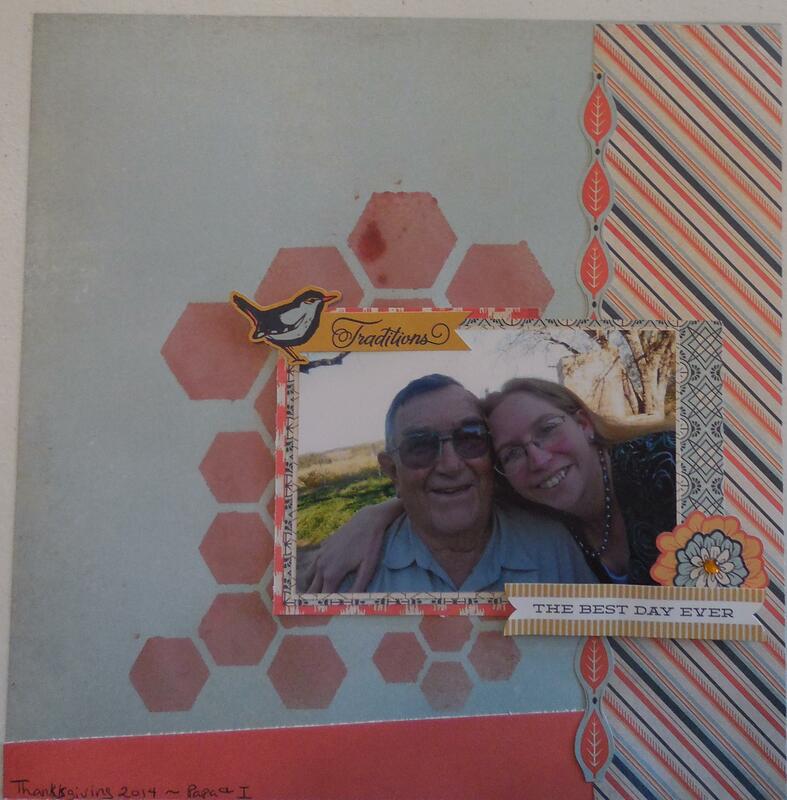 And the “Persimmon” collection is what I decided to use with this sweet photo of me and my Papa from Thanksgiving, 2014. The papers/stickers are from BG, and I added some mixed media to the background to give the layout some interest. The hexagon stencil is from Crafter’s Workshop, and the mist is from Studio Calico. 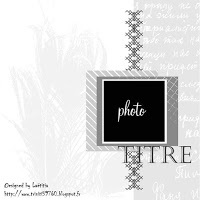 Layout is inspired by Let’s Get Sketchy Sketch Week 2, October, by Laetitia. Isn’t it beautiful?